Keeping in view the growing needs of Pakistan’s petroleum industry, OGDCL established its own Oil & Gas Training Institute (OGTI) in 1979 with technical assistance from Canadian International Development Agency. OGTI has emerged as a premier institute in the petroleum sector of Pakistan catering for the training needs of Geoscientists and Engineers of OGDCL and other E&P companies operating in Pakistan. The institute conducts various training programs in upstream sector with special emphasis on Exploration, Drilling, Well Services, Production, Gas Processing Production and Instrumentation. This includes one year training programs for fresh graduates and technicians, enabling their career induction as well as short refresher and advanced training courses for experienced professionals. The institute also organizes in-house technology update seminars and management courses through visiting instructors from renowned universities and institutes from Pakistan and abroad. In addition, it also facilitates the local and foreign training needs of OGDCL professionals. 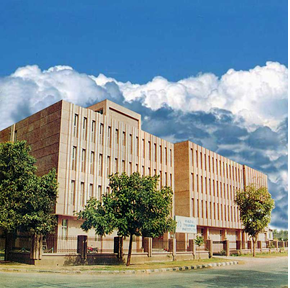 The institute has numerous facilities that include modern class rooms equipped with audio-visual aids, auditorium, technical library, huge collection of technical videos and specialized laboratories for exploration, production and instrumentation. It is now committed to meet the training and educational needs of all domestic and foreign companies in the Upstream, Midstream and Downstream Sectors of the Petroleum and Allied Industries of Pakistan. Programs are offered ranging from Technician/Operator level right up to the management level of Exploration, Reservoir Engineering, Production, Drilling, Processing, Refining, Transmission and Distribution activities. It provides basic training to the petroleum industry graduates and technicians enabling them to start their career, as well as refresher and advance training to experienced professionals in all the streams of petroleum in general, and upstream in particular.